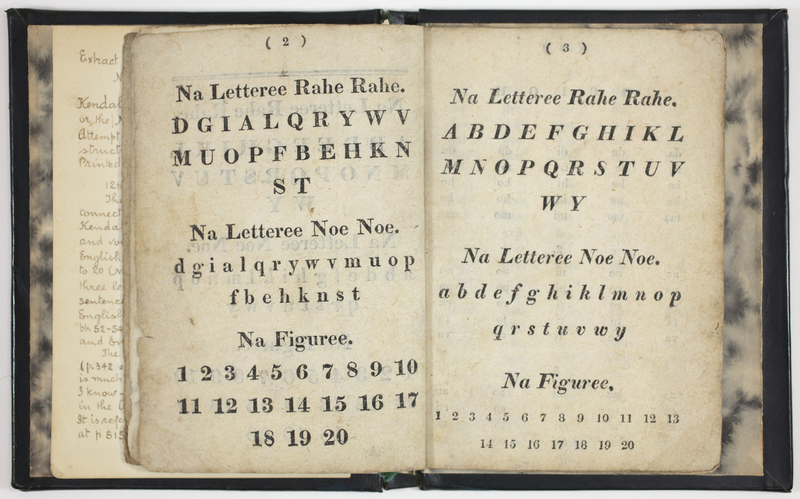 An elementary primer comprising alphabetical and numbers (p. -3), syllables in 12 numbered exercises (p. 4-7), word lists and sentences (exercises -52, p. 7-39), alphabetical dictionary (p. 40-51), parts of speech (p. 52-53) and a few fragments of syntax (p. 54). 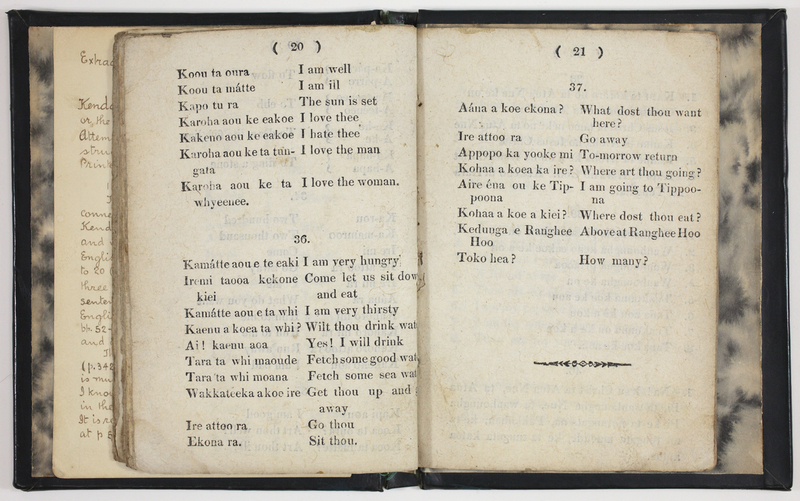 Text from exercise  to end is in parallel Maori and English. Correspondence of Thomas Cheeseman's counter offer and acceptance SEE MUS 96/6/ 0367 & 0377 & 0387. UNESCO Memory of the World. New Zealand Register. Referenced in Williams, 1; & 1 suppl ; Bagnall 2971 ; Books in Maori 1. High quality digital copy (flip book) accessed through the topic page. 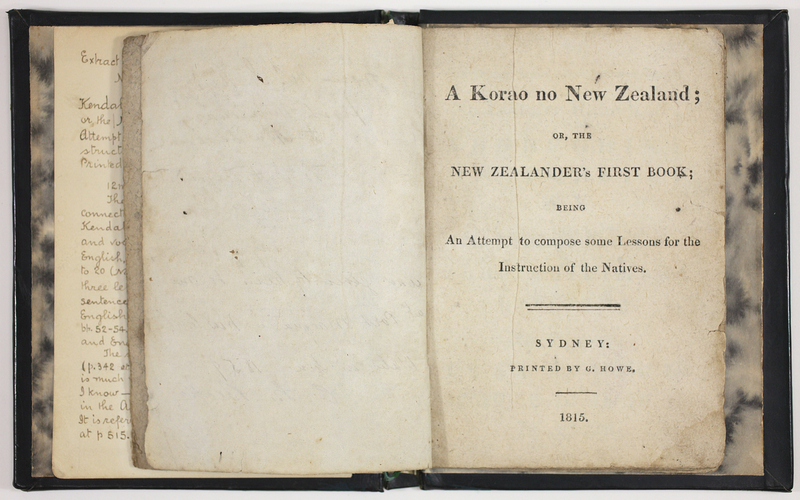 Accepted to the UNESCO Memory of the World New Zealand Register, 2014. "The only surviving copy is held at the Auckland War Memorial Museum"--BiM 1.